Arsenal Women are back in action on Sunday afternoon, when they travel to Prenton Park to face Liverpool Women. The Gunners are eager to continue their pursuit of the Women’s Super League title, where they currently sit two points off league leaders Manchester City with two games in hand. They are also searching for their third win in a row, following last week’s 4-0 win over Bristol City. Here’s a look at Joe Montemurro’s best potential Arsenal lineup for Sunday’s trip to Liverpool. Sari van Veenendaal (GK) – Arsenal’s first choice goalkeeper should be safe to start again on Sunday, making her 19th league appearance this season. Van-Veenendaal has impressed since joining the Gunners in 2015, having only previously played in her home country. Lisa Evans (RB) – Evans looks likely to start at right back, despite traditionally being a forward. She is also an experienced international for the Scotland national team, having scored 12 goals in 48 caps for the national side. Leah Williamson (CB) – Williamson has been ever-present at the back for Arsenal, making a remarkable 51 appearances this season. The England international has been with the Gunners since the age of nine, having joined the Arsenal Ladies Centre of Excellence in 2006. Louise Quinn (CB) – The 28-year-old Irish defender will partner Williamson in the middle of defence on Sunday, as they have done so often this season. Quinn has made 48 appearances in all competitions this season, though has only scored once in the league. 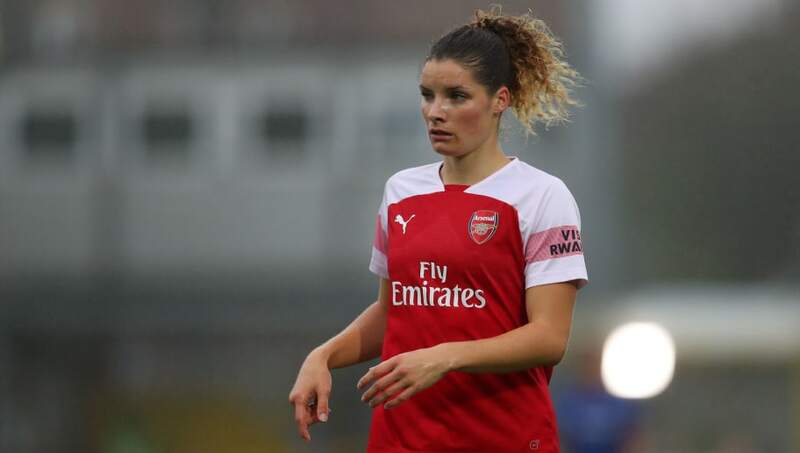 Katrine Veje (LB) – Veje should complete Arsenal’s defence for the trip to Liverpool, as they aim to keep their fourth clean sheet in a row. Another forward at heart, the Denmark international can excel at left back, having made over 100 caps for her national team. Dominique Bloodworth (CM) – Bloodworth has been one of Arsenal’s best players this season, with her wonderful passing ability proving crucial for the Gunners. The Dutch midfielder only has five goals, though contributes far more with her wonderful deliveries. Kim Little (CM) – Little is another one of the Gunners’ key players, having returned to north London for a second stint in 2017. She established an incredible goalscoring record in her first spell at Arsenal, scoring a remarkable 81 goals in 93 appearances. Danielle van de Donk (CM) – Van de Donk will make up Montemurro’s midfield trio on Sunday, as she has so often this season. The Dutch midfielder has also been contributing to the goals this season, having scored 18 times in all competitions. Beth Mead (RW) – Mead could start on the right wing this weekend, having featured in all but one of Arsenal’s league games this season. Though she is yet to earn her England senior debut, she has represented the Three Lionesses since she was 15 years old. 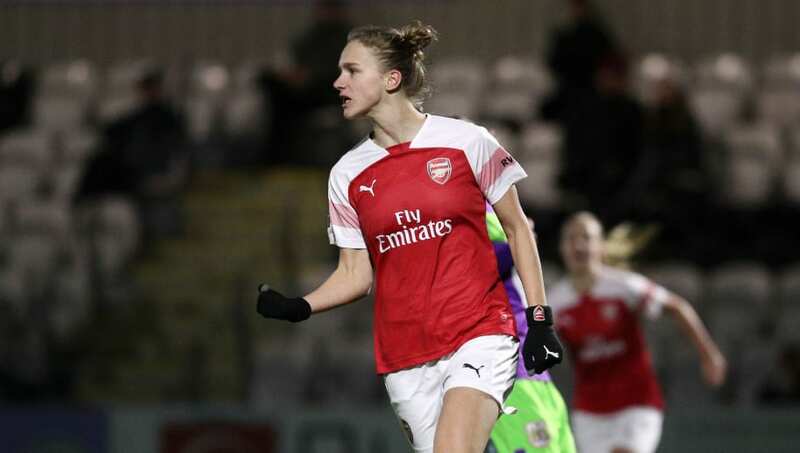 Vivianne Miedema (ST) – Miedema has undoubtedly been Arsenal’s player of the season, as well as arguably being the best in the league this season. The Dutch international has been on fire for the Gunners, scoring 28 goals in 23 appearances in all competitions. 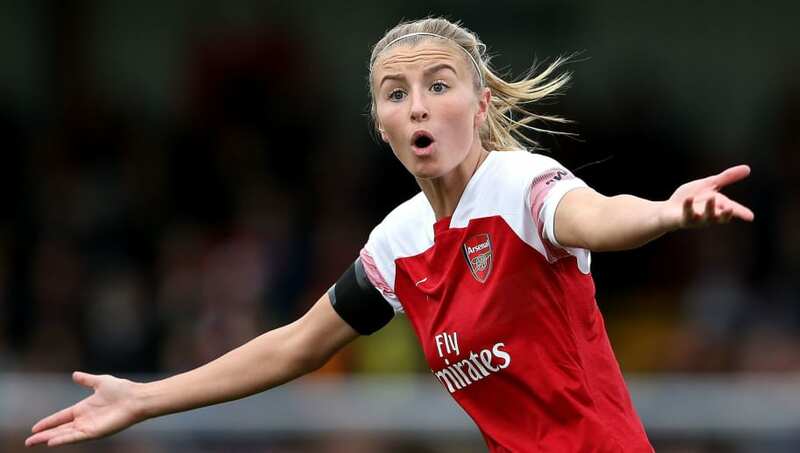 Katie McCabe (LW) – It should be McCabe to complete Arsenal’s attacking trio against Liverpool, as she continues her successful career with the Gunners. She is also an established player for Ireland, having won player of the match in her recent senior debut against Finland.